A unique range of protein supplements incorporating Biosprint live yeast designed to balance home mixed rations. 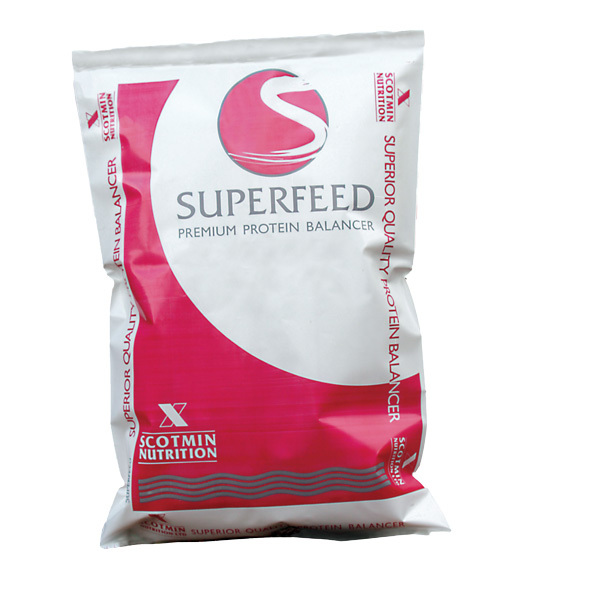 High quality blend of assured protein sources together with high energy oils, minerals, vitamins and trace elements. Superfeed can complement any ration; mixed with cereals, incorporated in TMR systems or simply top dressed. To balance the requirements of the ewe in late pregnancy and early lactation. Generous levels of Vitamin E and selenium are included to enhance lamb vigour. A valuable supplement for lamb creep, fattening lambs, and also pedigree tup mixes.